From Colombia and South Korea to Taiwan. In many countries, increased traffic resulting from population growth is an ongoing problem for large metropolitan conurbations. In an effort to improve this situation, intelligent bus systems have been implemented in Colombia, South Korea, and Taiwan to reduce traffic congestion and enhance public transportation safety and convenience. Bogota, the capital of Colombia, SouthAmerica, has the world’s most renowned bus rapid transit (BRT) system. In Seoul,South Korea, intelligent buses have been integrated with the city’s Mass Rapid Transit(MRT) and public railroad systems in order to minimize traffic congestion while increasingbus patronage. 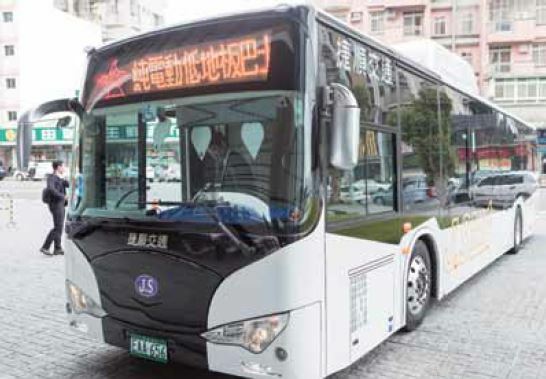 And, developments in Taiwan have led to the introduction of electric buses and intelligent buses with advanced driver assistance systems.Despite the differences between the intelligent bus systems implemented in these three countries, all of them use in-vehicle computers from Advantech. Using an all-in one platform, all on board systems have been integrated with smart management features to automate and improve current practices. In recent years, the local government inBogota has invested heavily to significantlyimprove the city’s transportation infrastructure.CJ Li, Business Development Manager, indicated that before Bogota’s BRT system was built,bus transportation in the city was chaotic and the routes were complex and difficult to manage. Bus operators were private enterprises,many of which purchased their own vehicles and set their own routes. As a result of poor administration, bus timetables and service quality varied greatly. Furthermore, when a cash toll system was adopted, incidents of robbery and embezzlement occurred on occasion. To solve these problems and improve public transportation on a limited budget, the city government sought to introduce the current BRT system by merging the individual bus operators.The BRT routes were reorganized into 12 routes covering 113 km with 146 bus stops across the city’s main metropolitan areas. Advantech in-vehicle computers were installed in every bus in the BRT system to provide functions such as vehicle tracking and dispatch, electronic toll collection, passenger statistics, and depart/arrival information displays. Now, both city government and bus operators have a comprehensive overview of the condition, status, and location of all BRT buses. These changes also made system administration more efficient and transparent. As an example of the success of this project, one particular route that was 30 km in length and took 2 hours and 15 minutes to cover in 1998,took only 55 minutes to travel in 2009. Seoul has utilized intelligent buses to effectively integrate its MRT and railroad public transportation systems, and use of bicycles has also been encouraged. The purpose of this approach has been to encourage commuters to use public transportation more frequently in order to minimize their use of private vehicles. Previously, buses were the primary means of transportation for Seoul residents. However, with the completion of eight subway lines in 1990, bus patronage began declining. This was compounded by the subway/bus/train ticketing systems not being integrated,making transfers between services difficult, resulting in inconsistent service quality and overlapping bus routes. To resolve these problems, the city government first integrated payment and ticketing systems so that commuters could use one card to take the bus/subway/railroad. Subsequently, bus routes were modified to minimize overlap, and intelligent bus shelters were installed to streamline the displays already at the bus stops. These modified shelters conveniently provided dynamic bus information for waiting commuters,informing them of the bus schedules and/or delays. The city government also established bus management /information systems by installing integrated in-vehicle computers purchased from Advantech, enabling dynamic bus information to be gathered in real time, including operation status, arrival/departure times, accident data, and so on. To benefit commuters, real-time travel information is also provided on board buses, and this information also enables the management center to determine when additional vehicles or manpower resources are required. Statistics show that integrating the public transportation systems has resulted in a 16% increase in bus patronage,a 24% drop in traffic flow due to the decrease in private vehicle usage, a 39% reduction in traffic time, a 5.5%decrease in carbon emissions, and a 15% increase in road safety. Through network and data analysis, the Seoul City Government has been able to successfully create a state-of the-art smart transportation network. Unlike the government-funded intelligent bus systems in Bogota and Seoul, the bus operator KGET was responsible for introducing this technology in BYD Co.,Ltd., the world’s largest electric bus manufacturer, has been pivotal in developing Advantech’s smart in-vehicle computers for electric buses; this smart upgrade for buses not only saves energy but also ensures passenger safety and reduces management costs.An obvious difference between conventional and electric buses is that electric buses use batteries instead of diesel as a power source. Furthermore, it is easier to collect vehicle information from electric buses. Therefore,KGET oriented its marketing strategy toward smart and green energy buses. In these buses, Advantech’s in vehicle computers were selected for integration with peripheral solutions (e.g., in-vehicle camera, tire pressure monitoring, and advanced driver-assistance systems) to deliver effective active safety measures. In addition to aiding drivers and ensuring safe driving, devices can also upload information on driver behavior and vehicle status to the cloud for analysis, which facilitates fleet management and maintenance. Apart from using Advantech’s hardware solutions,KGET also uses software developed by Advantech for driver behavior management, forward image recognition,and more. This also allows drivers to view assorted information on only one screen, thereby reducing their distraction, which in turn enhances passenger safety.This hardware/software integration approach provides arange of benefits, which not only shortened the development cycle but has also helped KGET invest more effort into integrating other bus information systems.